As of today and by mutual agreement, Steve Jurvetson will be leaving DFJ. DFJ’s culture has been, and will continue to be, built on the values of respect and integrity in all of our interactions. We are focused on the success of our portfolio companies, as well as the long-term vision for the firm and will continue to operate with the highest professional standards. The firm did not specify the reason for the ouster in the letter, but sources said that the investigation uncovered behaviors by Jurvetson that were unacceptable related to a negative tone toward women entrepreneurs…. The departure comes as Jurvetson was being investigated by his own firm for harassment. An entrepreneur had alleged predatory behavior was “rampant” at DFJ. The woman, Keri Kukral, did not name Jurvetson in her Facebook post. 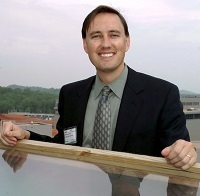 Jurvetson denied the claims in a Twitter post. He has denied that it is him. Popular guesses include Luke Nosek and James Cameron. good luck to him if he did nothing. If this is just 1 person making accusation, then I suspect that he will win it easily. OTOH, if multiples, well, then he can/should go down.